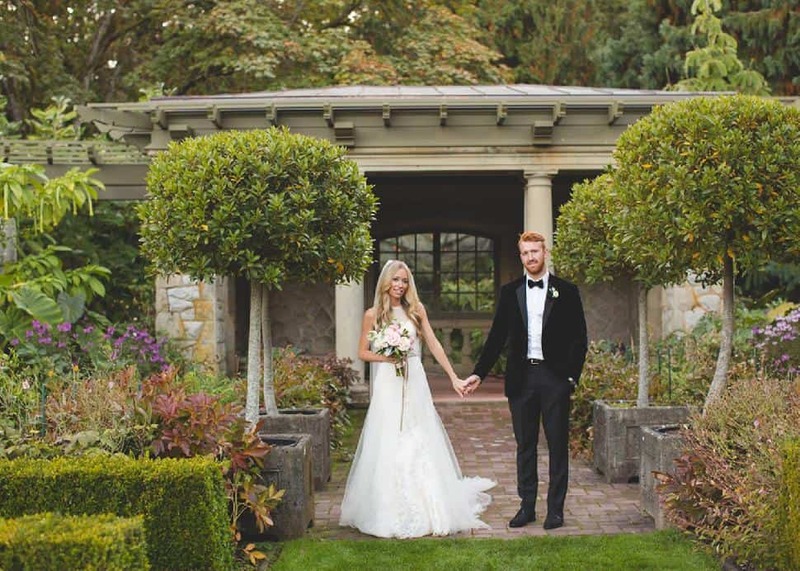 Five years after meeting at Western University in Ontario, Jesse Kliman got down on one knee during a winter trip to New York City and asked Jessica Greenside to marry him. 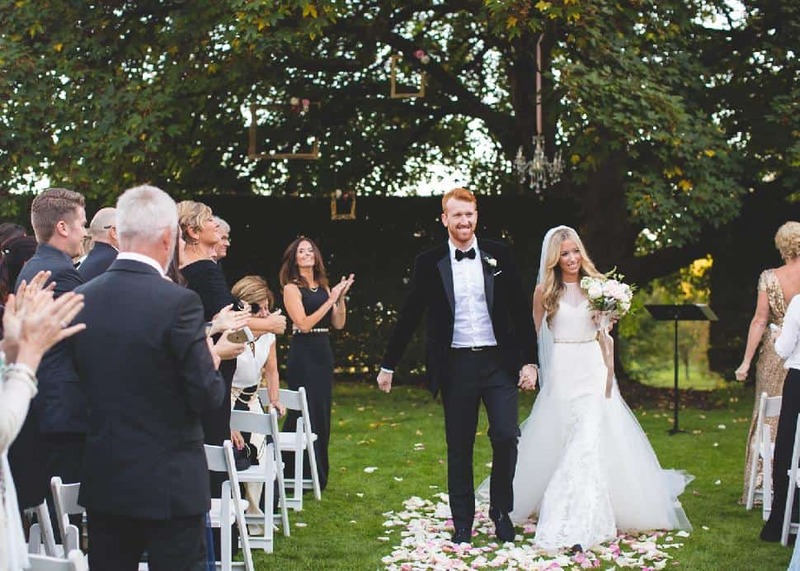 “We were living apart at the time—Jesse was in Victoria and I was at law school abroad—so we were engaged for two years before the wedding actually took place,” Jessica tells Real Weddings. 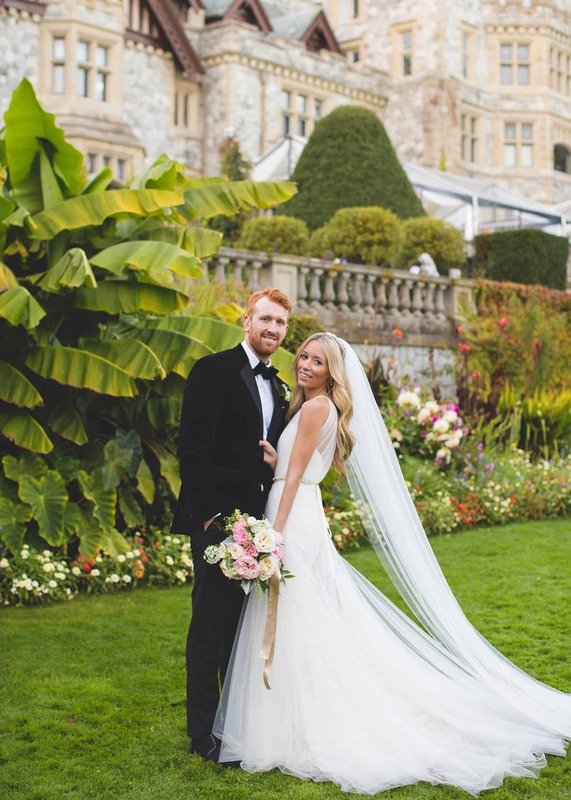 The couple had already decided upon a classic palette—blush, pink and gold—so when they saw Hatley Castle, they knew immediately it was the one. 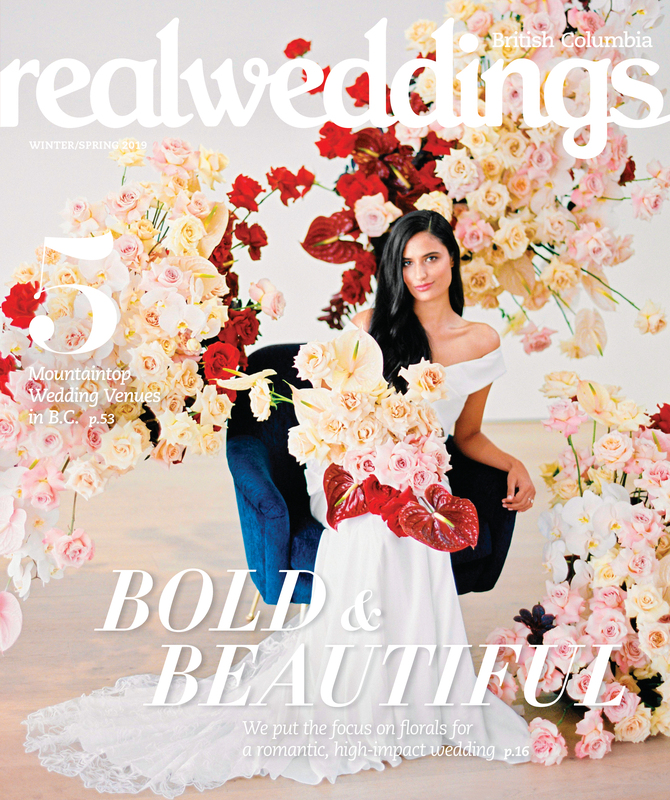 “It’s this huge, historic castle with live peacocks roaming the gardens and, given that my heart was set on an outdoor ceremony, it was the perfect place to get married,” says Jessica, with stars in her eyes. 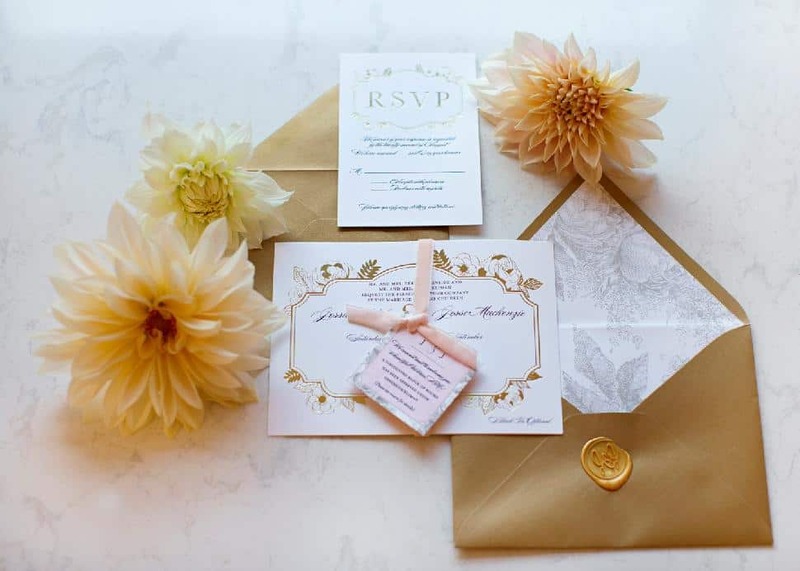 It didn’t hurt that the venue was also large enough to accommodate their nearly 200 guests. 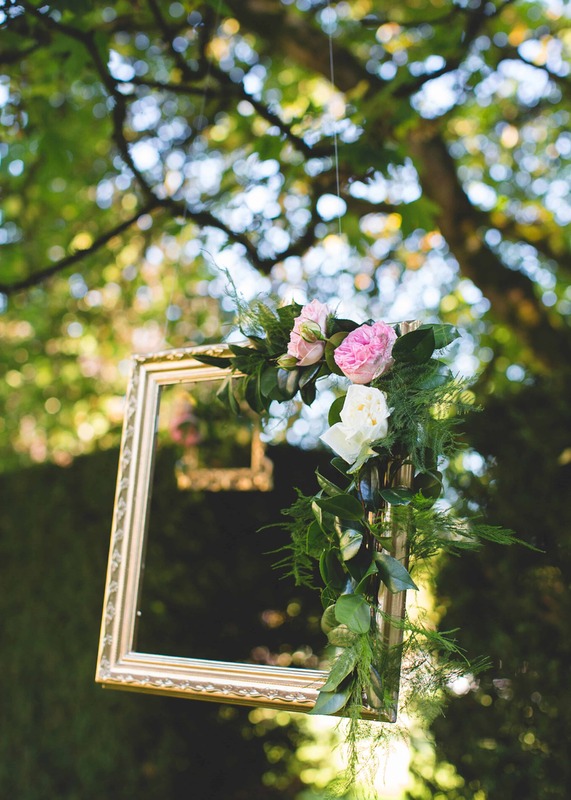 Modern Mint Events decorated the trees in the outdoor ceremony space with chandeliers and ornate gold picture frames strung with fresh floral blooms. 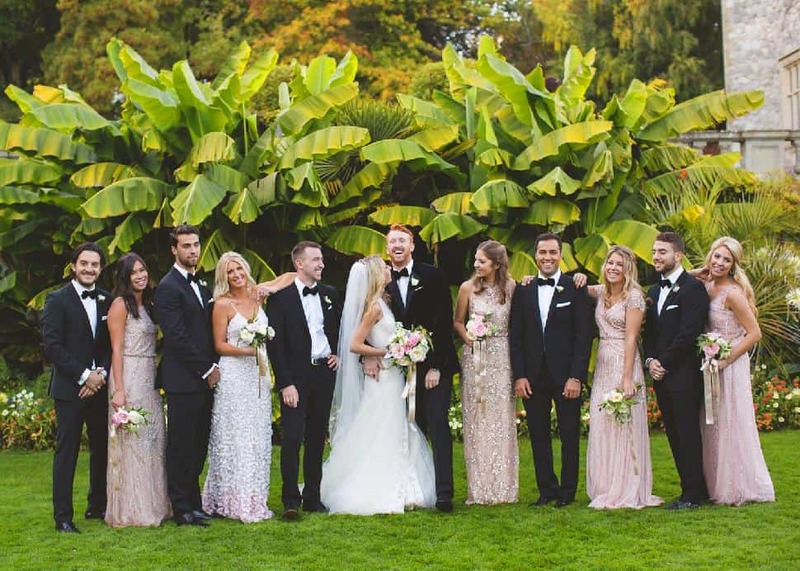 Jessica stunned in a lace Romona Keveza gown with a custom-made top and a removable tulle skirt, while Jesse looked dapper in a hand-tailored Harry Rosen suit. 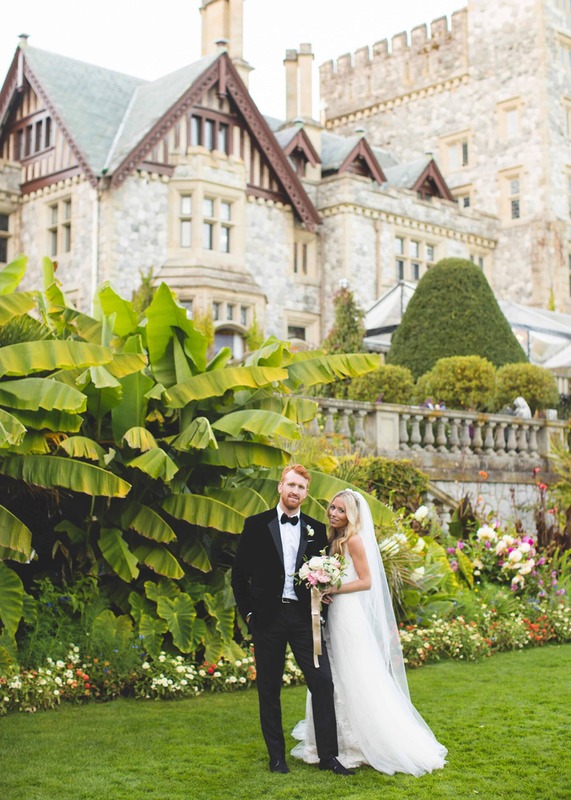 Victoria’s historic Hatley Castle, situated on the lush grounds of Royal Roads University, was the majestic venue for both the ceremony and reception. 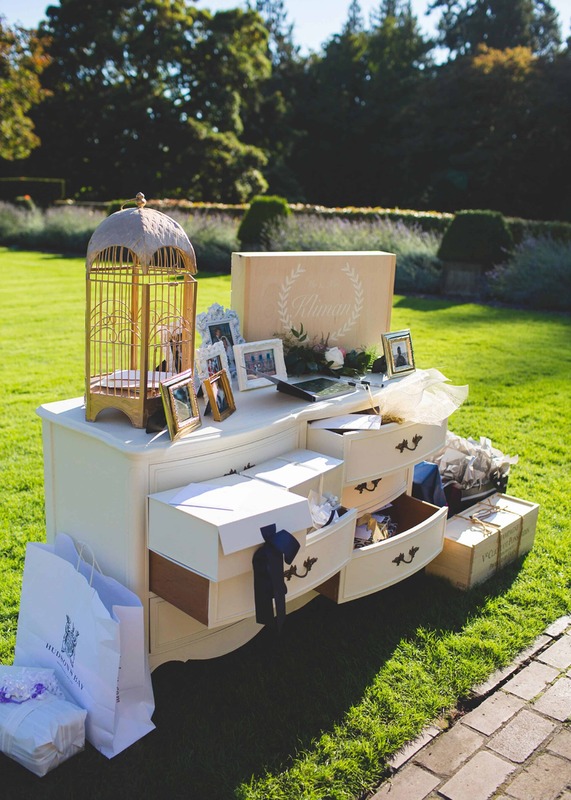 A vintage dresser provided by Nanaimo-based Darling Vintage Events served as a whimsical card and gift table. 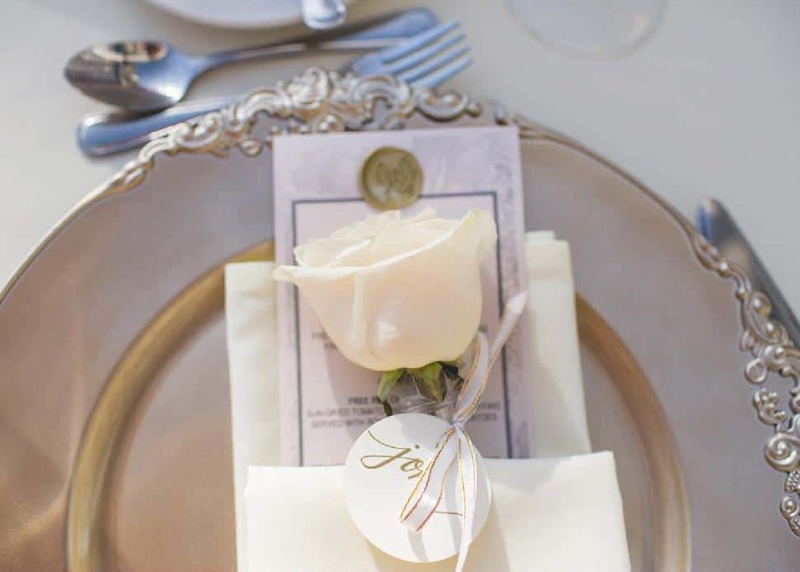 A second, mirrored chest of drawers, owned by the bride, was used for a matching candy bar. 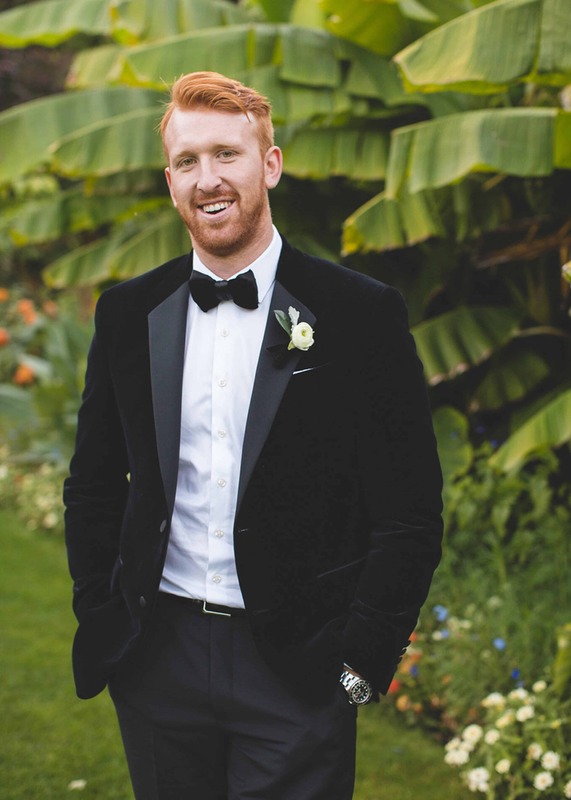 Jessica let her bridesmaids choose their own gowns from Holt Renfrew based upon a short list of criteria (colour and length) while Jesse’s groomsmen mimicked the groom in custom Harry Rosen suits. 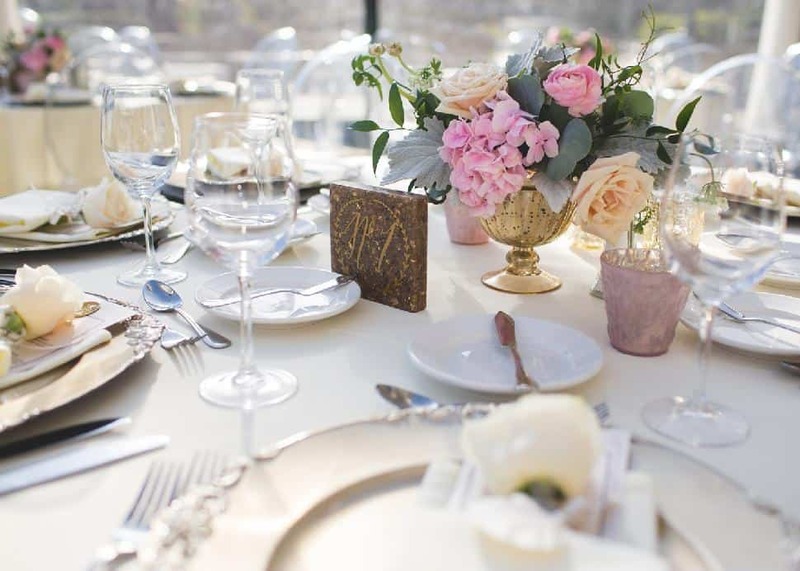 The table settings continued the theme of elegant romance with vintage gold vases, crystal stemware and pink and blush floral arrangements. 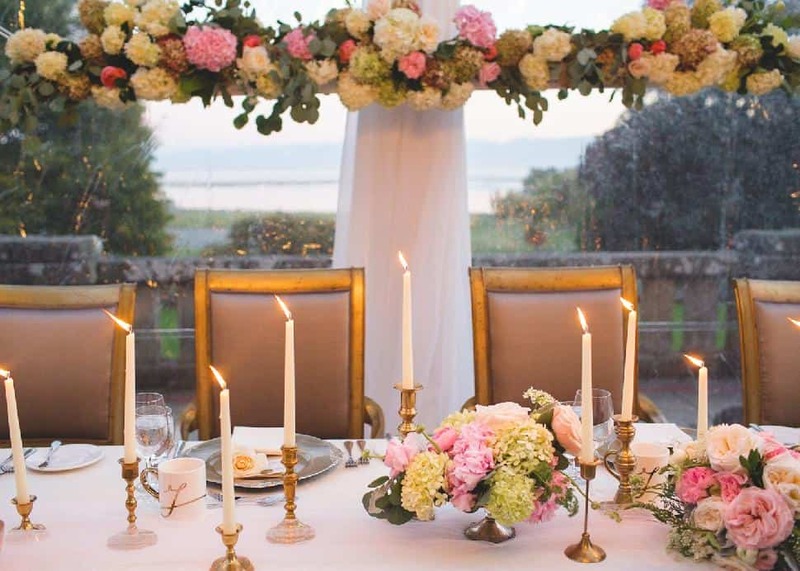 The head table was set with flickering ivory taper candles and bowls of fresh-cut blooms. 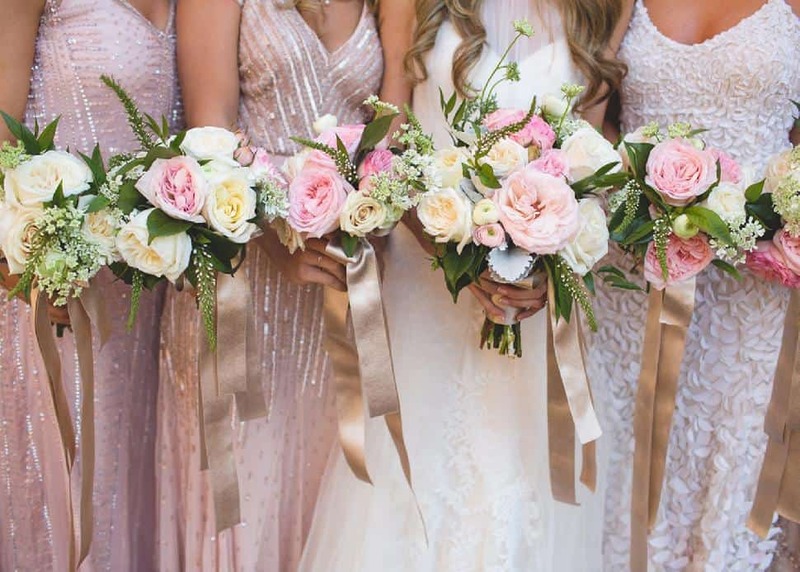 Victoria florist Rook & Rose created a sweet-scented backdrop of roses, posies and dahlias to hang behind and above the bride and groom during the reception. Salmon’s Rentals provided the chairs. 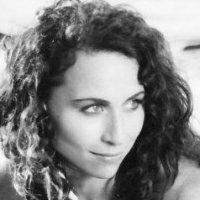 Choosing a baker was a piece of cake for this couple since Vancouver-based Cupcakes is co-owned by Jesse’s cousin, Lori Joyce. 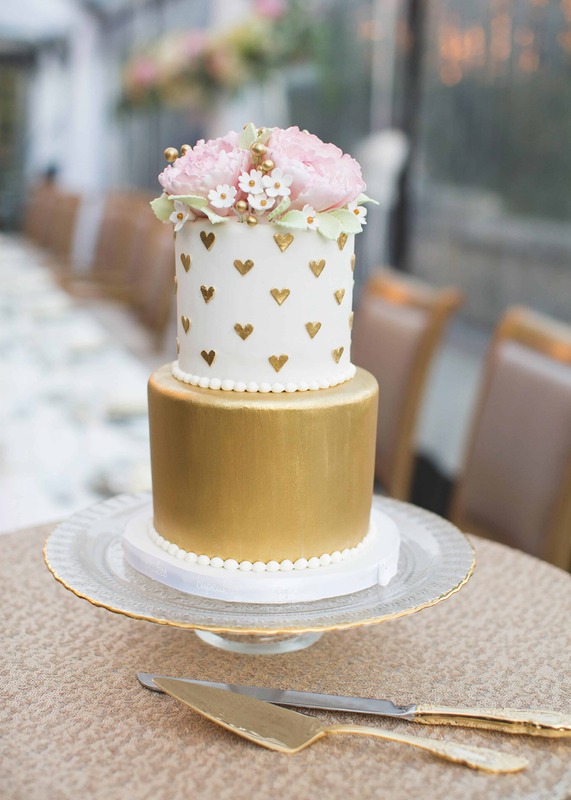 Saskia Nollen created an elegant two-tiered cake (coconut and chocolate marble) festooned with flowers and mini gold hearts. 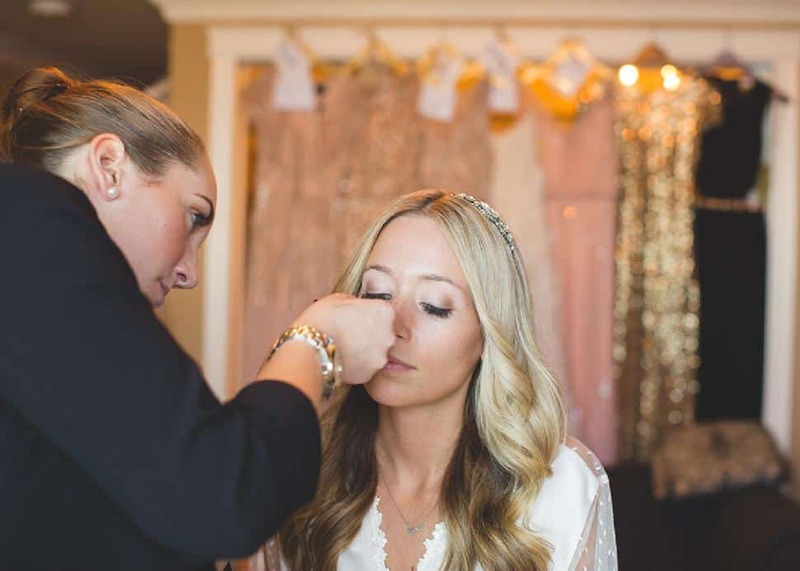 Jessica got dolled up with help from Carreiro the Studio and Artistry by Alexa. 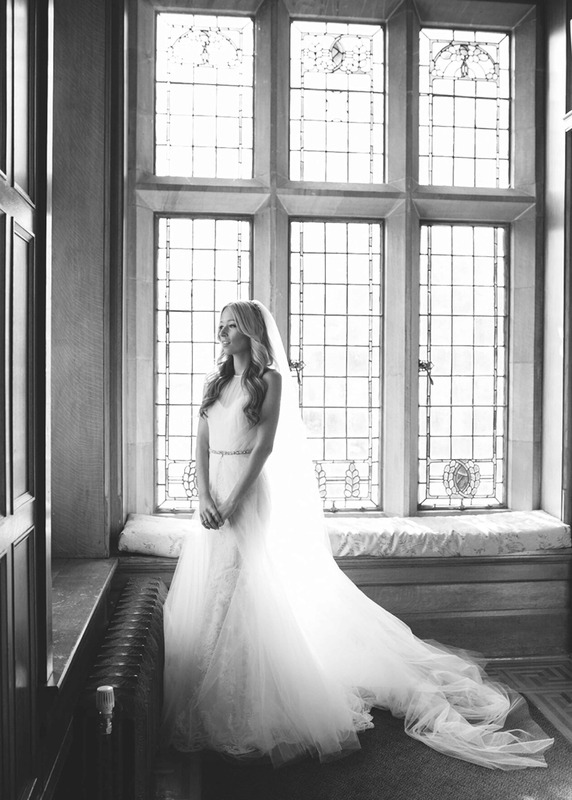 Hatley Castle works exclusively with Truffles Catering for all weddings and events. Geoffrey Lundstrom provided the ceremony music and The Broken Strings played the reception. 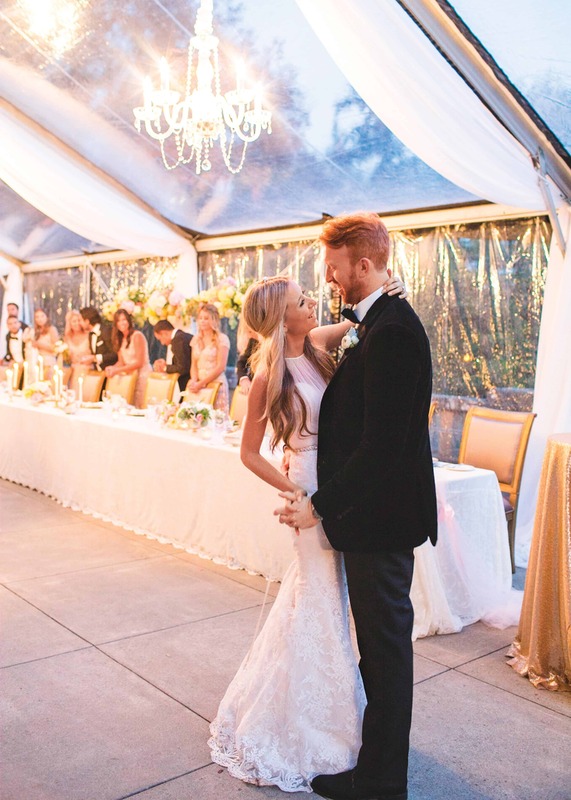 It was held in a clear, heated tent from Black and White Event Rentals in order to carry the outdoor ceremony through to the after-party without giving guests a chill. 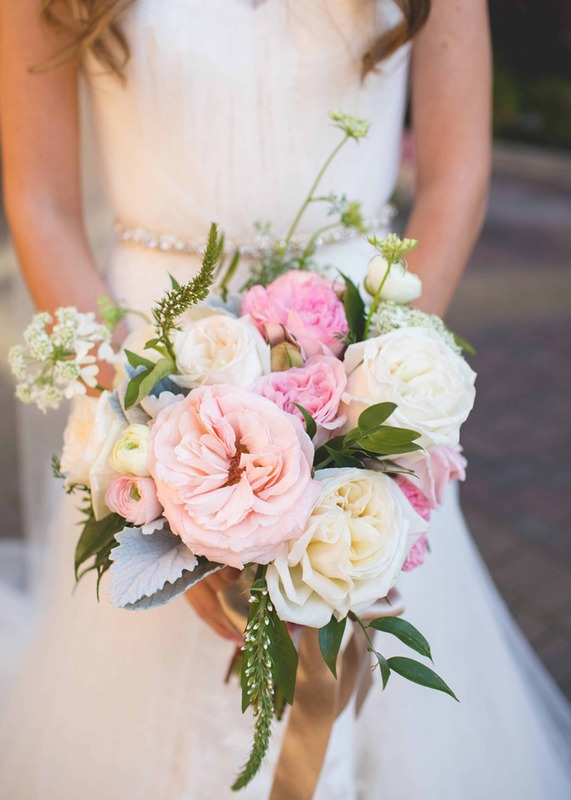 A self-proclaimed peony girl, Jessica was momentarily heartbroken to learn that her favourite flower wasn’t available in fall—until her florist suggested David Austin roses accented with posies and dahlias as a gorgeous alternative.